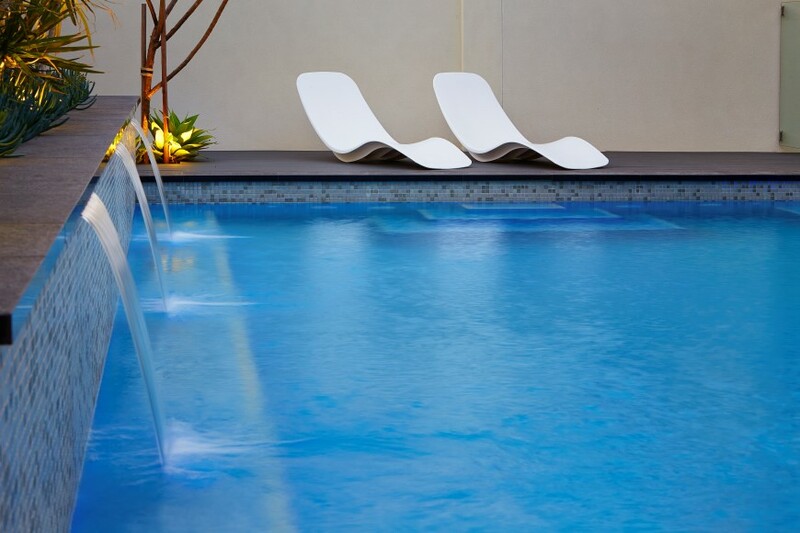 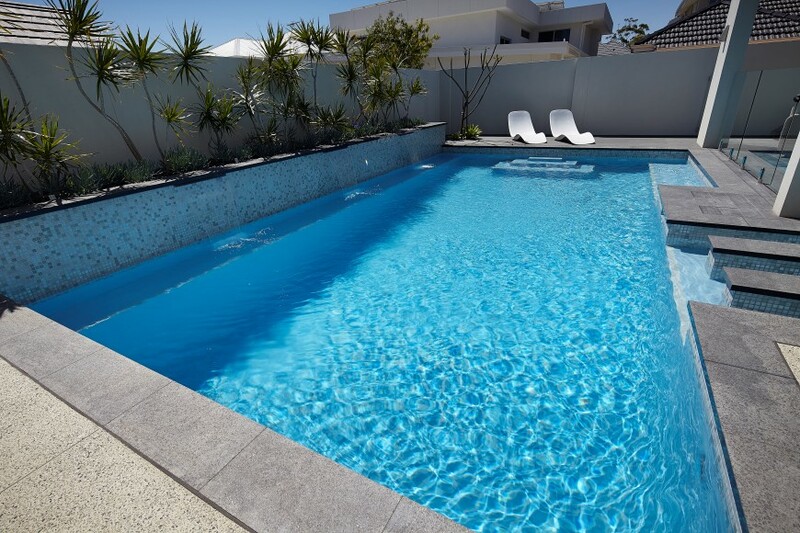 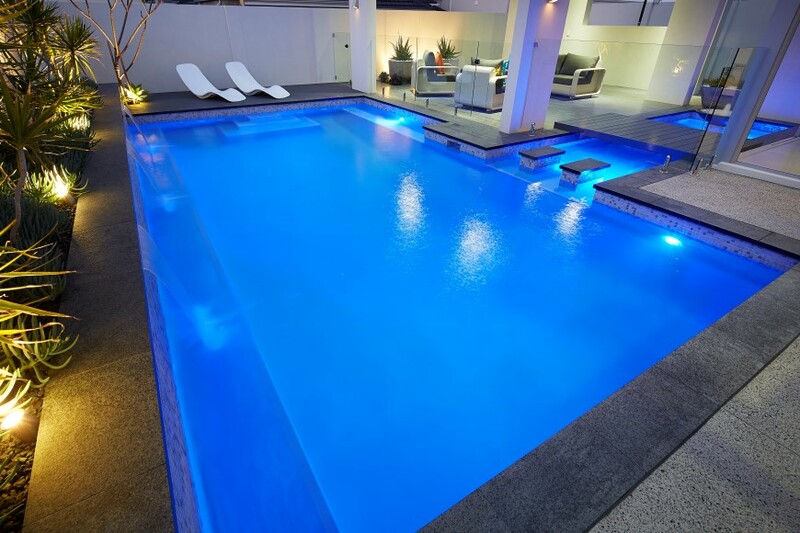 The clients of this pool came to us wanting to design and build a swimming pool at their new home which was yet to be constructed. 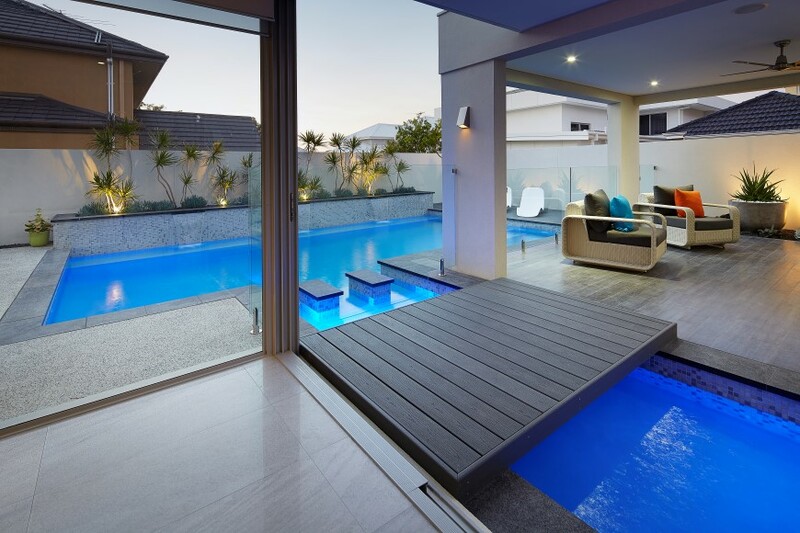 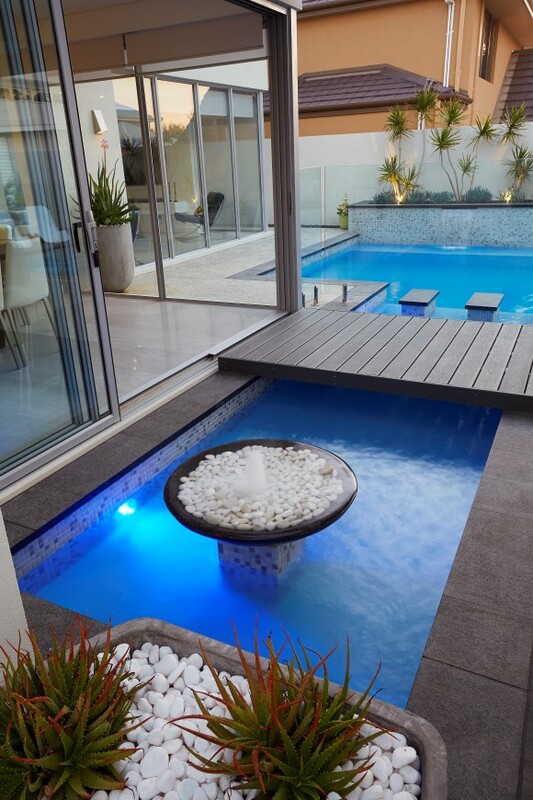 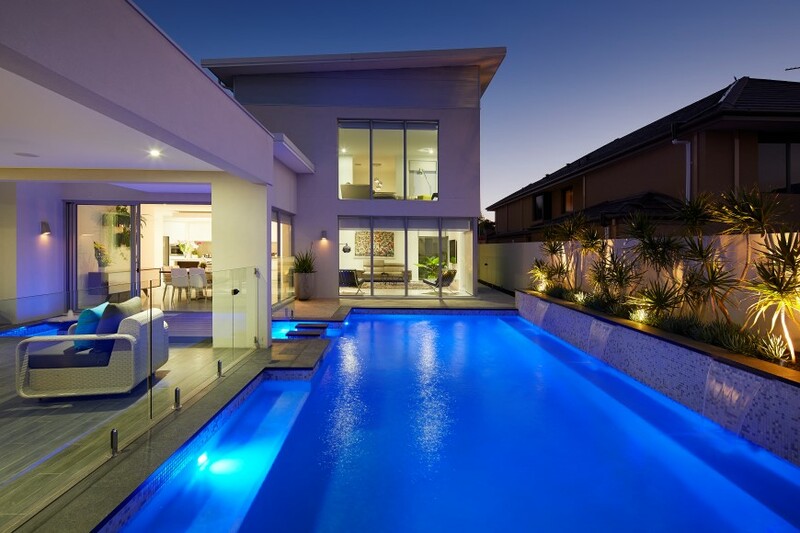 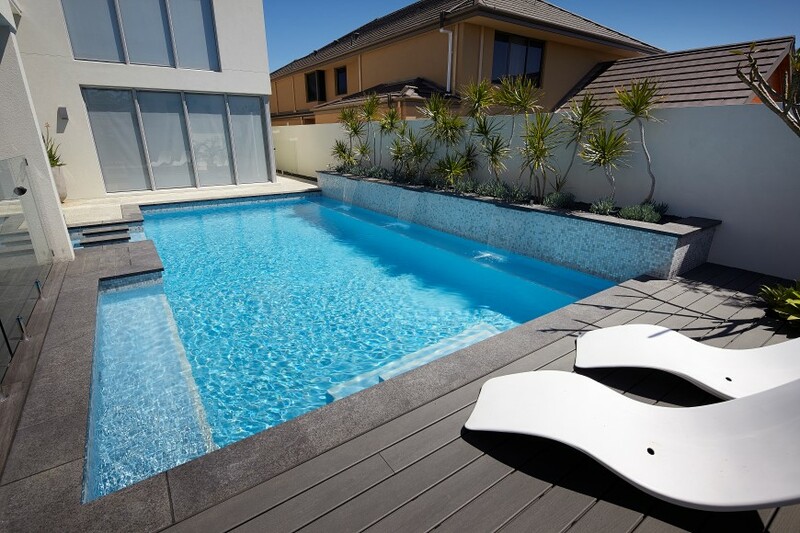 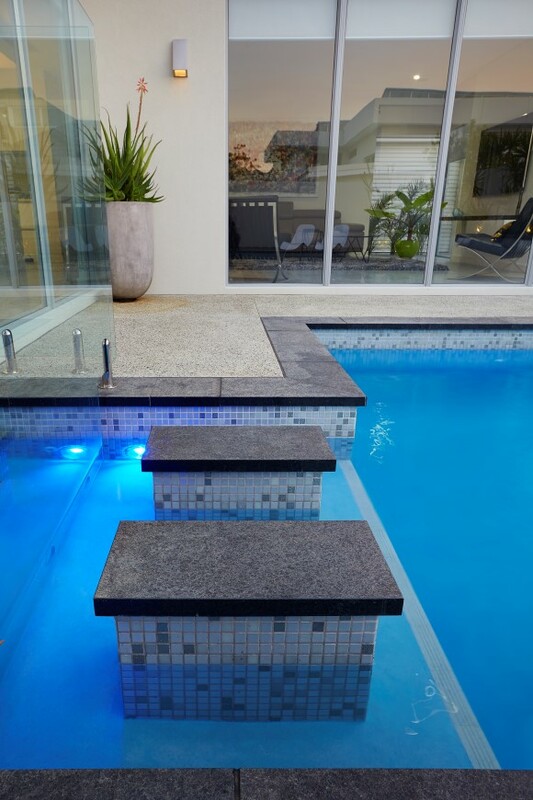 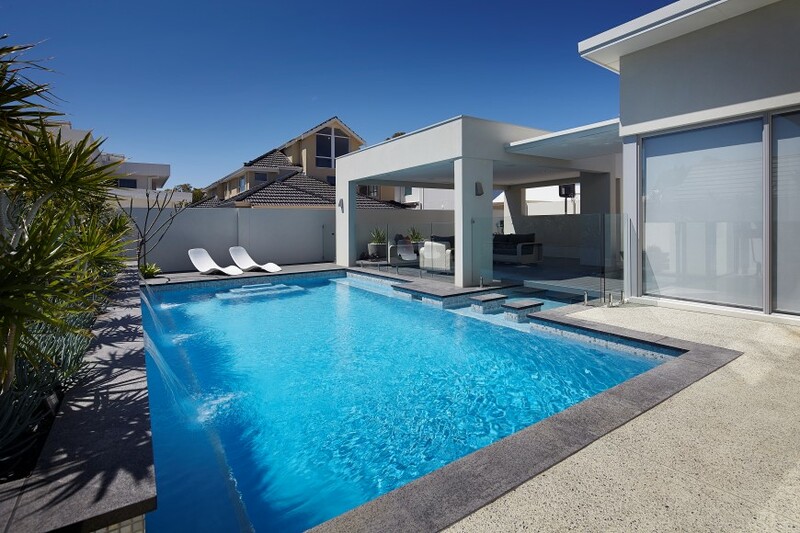 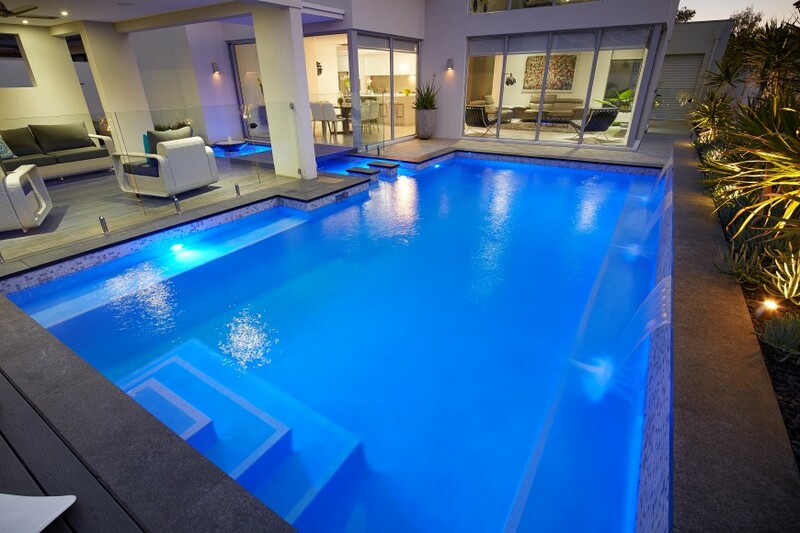 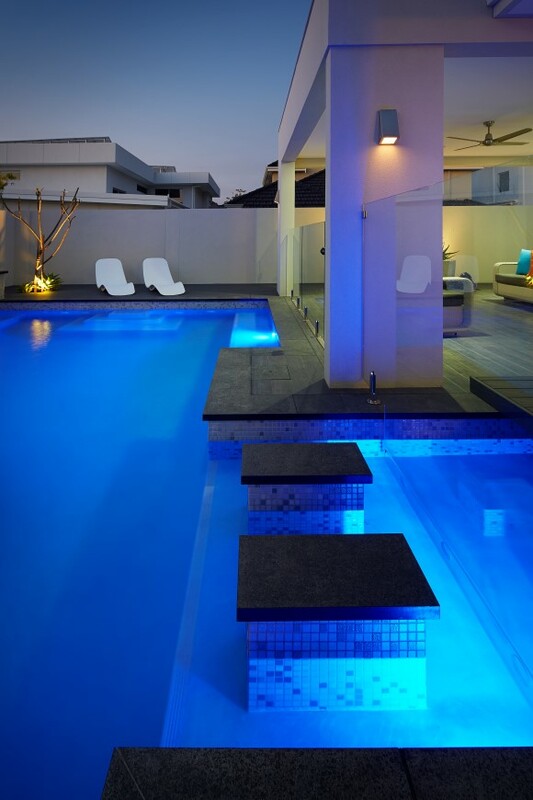 They wanted a large family sized pool that would incorporate the design of their new home in both form and function. 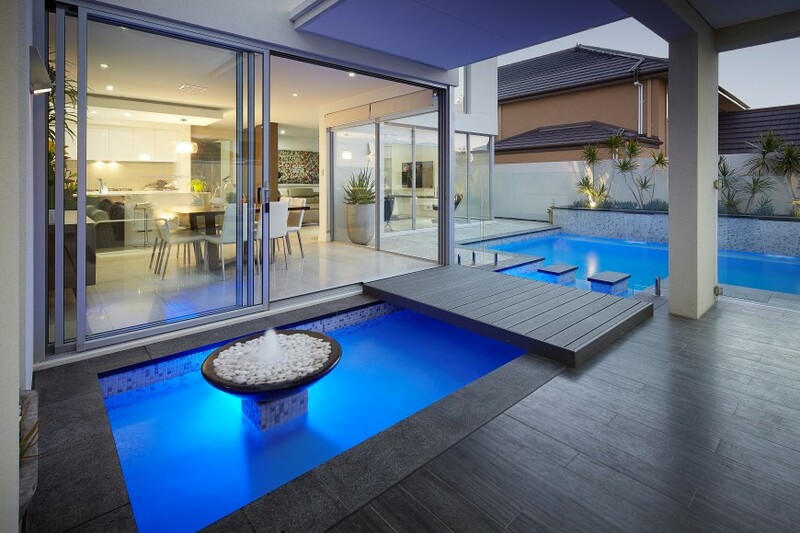 Wrapping around the alfresco area, the indoor and outdoor living areas are connected with a wood bridge that is over the top of a pond, enticing the owners to the new outdoor living area that gives the feel like you are away on holiday in a luxury private retreat.